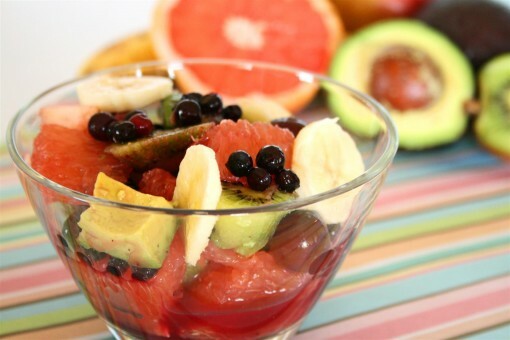 Exotic Fruit Salad was posted on April 23rd, 2012 and is filed under Breakfast, Dairy Free, Recipes, Snacks, Vegan. This entry has 5 comments. You can follow any responses through the RSS 2.0 Comment Feed. Hey guys…it’s great to be back after an awesome weekend! For those of you don’t know I sing in a family band. Once the busy season picks up we’re gone pretty much every weekend. Sometimes we go on long tours up to two months and sometimes it’s just day trips…nonetheless it keeps us pretty busy. Singing is my passion! So that’s why this is a little late. 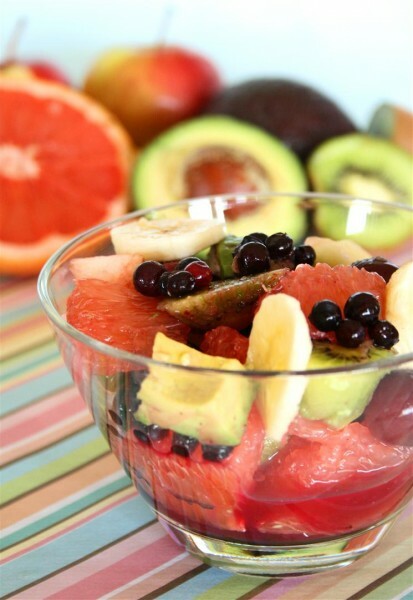 I just made this fruit salad the other day and I was so wowed with it…I just HAD to share it with you! Immediately following a workout I enjoyed it…and it was so refreshing! I simply sliced the amount of fruit I wanted, tossed into a bowl, and drizzled with lime and pineapple juice. Ahhhh-mazing. I thought about adding some yogurt to the mix, but I opted to go with the natural fruit juices instead…so good. Posting these pictures makes me can’t wait to make it again! Hope you enjoy! Oh, and I also wanted to give a shoutout to my friend Katie at Dashing Dish…she just got her whole website redesigned and some amazing new features happening! She has awesome recipes, fitness routines, and devotionals over there that you NEED to check out! What’s your favourite addition to a fruit salad? 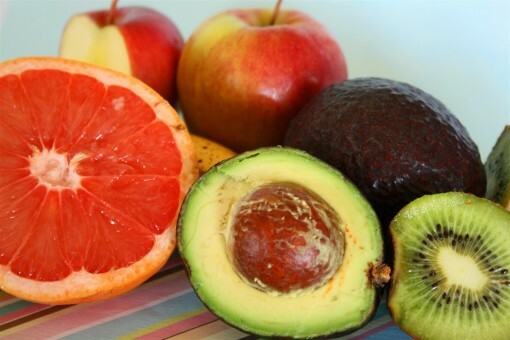 I just LOOOOVE the addition of avocado and grapefruit…mmmmm! Gotta love fruit salad. Hayden wants to pick the kiwis right off the screen. Those are her favorites right now. I, personally, can’t wait until figs are in season. When my sister and I were kids and there was a big family event … my grandma would always make fruit salad especially for us because it was our favorite! My favorite elements are always watermelon and grapefruit – I’ve never considered adding avocado before! Avocado?! Really? I’ve never had a fruity avocado dish… Just cheesy, sandwichy, savory avocado dishes! Wonderful salad idea! I think its so cool that you sing in a family band!